When it comes to tile flooring and kitchen countertops, no material compares to marble and granite. If you’re looking for a granite and marble restoration company that respects these stones as much as you do, then look no further. Over the past 40 years, our experts at Aldayna Stone Care & Maintenance have specialized in restoring and caring for granite and marble in Somerset County, NJ. Each of our restorers is knowledgeable, friendly, and ready to help. When you’re ready for your marble tile to sparkle the way it used to, you can rely on our experience. 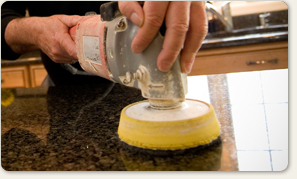 At Aldayna Stone Care & Maintenance, we provide various granite and marble restoration services. We’ll clean, polish, hone, seal, and restore every surface to its original color and vibrancy – even your grout. We provide our own cleaning and maintenance solutions to rejuvenate these porous stones. Give us a call to learn more!